Monet is one of those names even philistines like myself have heard of. And the Albertina art museum does full justice to this pioneer of impressionism with a major exhibition of his work. The Albertina has a truly astonishing number of works of art in their collection. The problem is there just isn’t the space to display more than a handful at any one time. Fortunately, they feed us regular doses of genius through an ever-changing schedule of exhibitions, enhancing their own material with loans from other locations around the world. So it is with Claude Monet’s efforts. The exhibition features 100 paintings from around 40 different sources, including such prestigious museums as the Musée d’Orsay, London’s National Gallery, Boston’s Museum of Fine Arts, and (particularly) the Musée Marmottan Monet. For me, a landscape does not exist in its own right, since its appearance changes at every moment; but the surrounding atmosphere brings it to life – the air and the light which vary continually. So you’ll see such delights as Boulevard des Capucines, part of the world’s very first impressionist exhibition in Paris in 1874, paintings from the Rouen Cathedral and Haystacks series that experts regard as perhaps the pinnacle of impressionism, and works from the garden at Giverny, including examples from the Water Lilies and Japanese Bridge series. The exhibition runs from Friday, 21st September 2018 to Sunday, 6th January 2019. 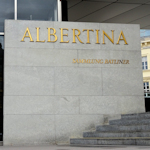 During this time, the Albertina opens daily from 9 am to 6 pm (9 pm on Wednesdays and Fridays). Tickets to the museum cost €14 for adults at the time of writing, with concessions. You can buy them at the counter or online from the Albertina, walk in free with a Vienna Pass, or get skip-the-line tickets via Tiqets.com*. Don’t leave the museum without discovering some of its other delights, including the staterooms and permanent exhibition (which features many other impressionist works). You’ll find more tips on the Albertina main page. The Albertina is one of the more central locations, inside the old city centre. See the main Albertina article for directions.